You can Postpone Vista activation for a year with few simple steps and this is what all we want and sometimes we try many different hacks to do this . Ajay Kumar from Techiezone.in has explained it very well . 1. In Windows Vista that hasn’t yet been activated , click the Start button, type ‘regedit’ without quote into the Search box, then press Enter to launch the Registry Editor. 3. Right-click the Registry key named SkipRearm and click Edit. The default is a Dword (a double word or 4 bytes) with a hex value of 00000000. Change this value to any positive integer, such as 00000001, save the change, and close the Registry Editor. 4. Start a command prompt with administrative rights. The fastest way to do this is to click the Start button, enter cmd in the Search box, then press Ctrl+Shift+Enter. If you’re asked for a network username and password, provide the ones that log you into your domain. You may be asked to approve a User Account Control prompt and to provide an administrator password. 7. To extend the activation deadline of Vista indefinitely, repeat steps 1 through 6 as necessary. You can find the full article in Brian’s news letter in his website. Weblogger is an adsense ready and optimized blog template that will do 40% of the monetization of your blog at installation . This blog template is mainly created to generate better ctr for your blog and it is perfect for all type of blogs . So if you are looking for some good ctr providing blog template for your blog than i will recommend you this design . All adds placing bars are placed very well in design and clearly visible at first sight . You can download this template from this link . 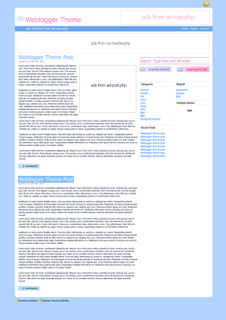 Download Weblogger template . The IT Outsourcing-A boon or an Curse . The world has become globalized today. You can hear all around you that the world has come closer. People in the developing eastern countries are working for the west. True the world has become globalized and geography has been reduced to a thing of the past but do you know the price at which this world has been brought closer? It maybe a boon for the eastern ones but it’s surely a curse for their western counter parts who are deprived off the opportunities because of this out sourcing IT Jobs recruitments . We are only seeing the better part of the picture because that’s what the companies in the west are showing to there people that costs will reduce due to these practices and so all would be benefited but the actual and the darker picture is hidden from the world and it is only seen by the few who have suffered due to this job drain. The western companies are cutting there staff and reducing the strength of there employees almost every quarter.The jobs which were considered to be secured and attractive few years back in the west are no longer having any value because these western giants look for only profits. Today you might be working with a big MNC in the west but tomorrow you might be on the roads searching for a new job because your company cut staff. Another demerit of this apart from the fact that the common man in the west is getting slaughtered is that creates a shift in the minds of the average people who were deprived of there jobs that the eastern counterparts are crooks and it is because of them that they have lost their jobs. This in turn leads to racial discrimination which till today we have not been able to eradicate effectively. The truth is that the western company owner’s are betraying there own country by encouraging the job drain. I don’t say it should be reduced to zero but every thing should be done in a limit other wise it affects adversely. So what is the solution to this problem the companies want to reduce the costs but don’t want to encourage out sourcing. One of the solutions is that the western nations should put in a cap on the outsourcing employee strength. That would keep the job drain under check and would serve both the sides of the table well. So if you are looking for recruitment in IT company than you can try this site ( Computer job Agency ) . Specailly designed for IT recruitments . I hope this link will help you . Nimbuzz mobile web application is turning mobile communications more better by enabling many good features like mobile instant messaging by voice, data, video, conferencing and other services like voip phone calls. Nimbuzz application works with almost all GPRS mobile phones and java supported phones like Samsung , Nokia , Motorola , BenQ etc (you can check list here) . 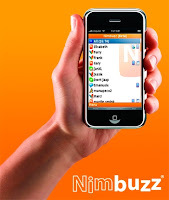 Nimbuzz software and the Nimbuzz IM and Text Message Service are completely free and supports AIM, Yahoo!, MSN, Google Talk and Skype . You can download it from here ( Download Nimbuzz) . When you will click on download they will send you a free SMS message with a download link for your specific handset model . You can follow their given instruction you can download it . If your browser does not allow you to click on the website URL or you are unable to open that link than you can type the URL in your phone web browser and go from there. You can start nimbuzz by visiting Menu option than go to application folder or open that folder where you saved and installed nimbuzz application . Now to stat nimbuzz click on nimbuzz icon and always remember that you need Java (MIDP) in your handset . Before starting downloading nimbuzz you can check your mobile model , whether is it supported or not (link is in first paragraph last line) . 1. Right click on desktop and create new shortcut . 3. Now click next and delete shutdown.exe name and type a name for this shortcut like internet explorer and than click finish . This will be the name of that prank icon which will be displayed on desktop . 4. Now lets make it look like original IE icon by replacing shortcut icon image . Right click on that icon than properties and than change icon . Now again you will find one pop up , just click ok and select IE image from option and click ok after selecting it . Now you will see that shortcut link will look like Internet Explorer icon and whenever someone click on that icon to open internet explorer it will result as shutdown .